Includes a bit of Reith. 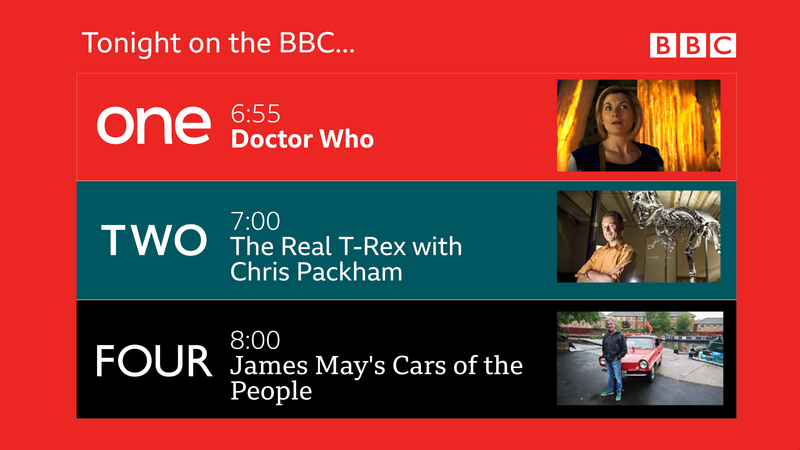 So I wanted to create a menu based on the way BBC advertises it's other channels (on billboards and on buses, they don't use the BBC logo on the channel logos. 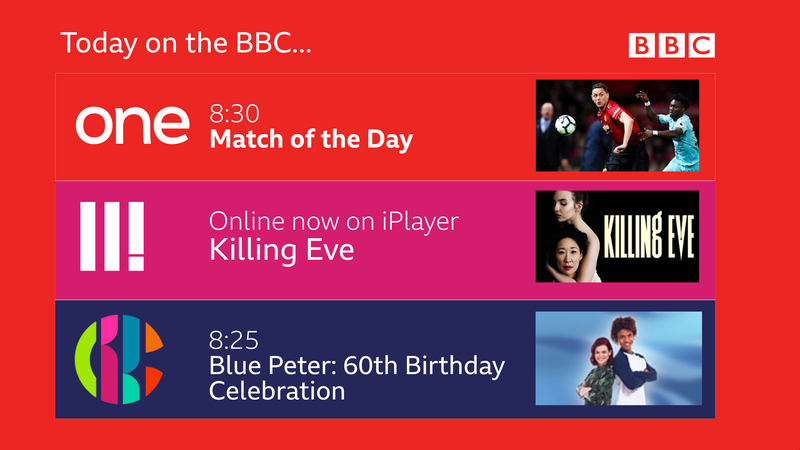 BBC Sport does the same principle) as it doesn't need multiple BBC logos to show you what you are watching. I have basically taken the principle of this and implemented it into the cross-channel menu. I'd like to see one featuring BBC Three, CBBC and CBeebies. Here it is. I did skip CBeebies because of how it doesn't contrast with the other shows. I like how you’ve used Bold on some, and Reith Serif on others. I couldn't find the velvety background anywhere on the internet, so I used a basic Red background. 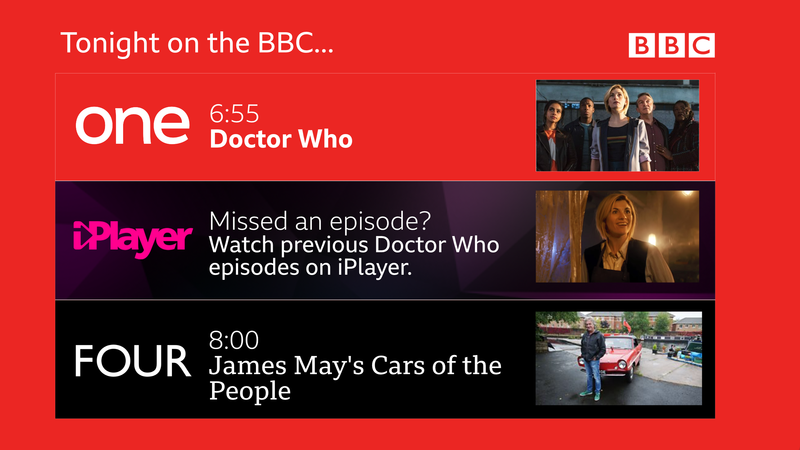 It might work even better if the BBC logo and the channel numbers were aligned together all on the left maybe? but maybe a generic similar one would work? 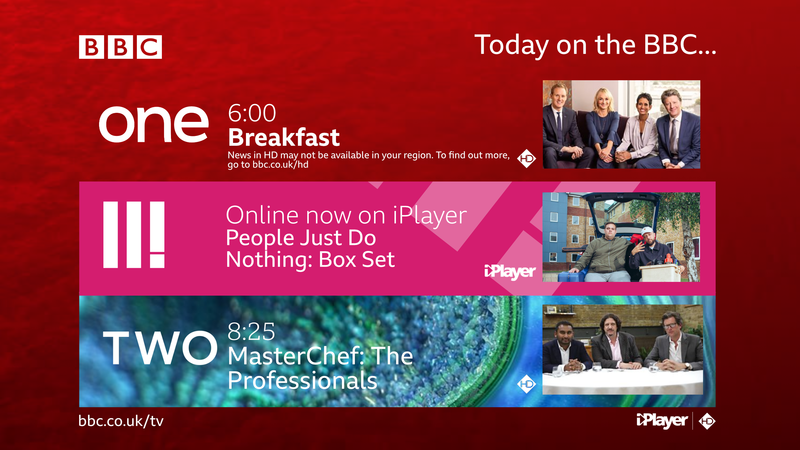 I've taken most of your suggestions and made a different version, with the BBC logo on the left, each channel having their own backgrounds from idents or branding and replicating the BBC One velvety background. I'm afraid I just find this messy. The lines and blocks break up the canvas, it somehow doesn't feel well aligned (even though I think it is) and it just seems very busy. I can see you've tried, and actually I don't think it's entirely your fault, it's just indicative of the BBC's branding. I could imagine a similar template looking far better with ITV's equivalents. A bit more work and you may get there. 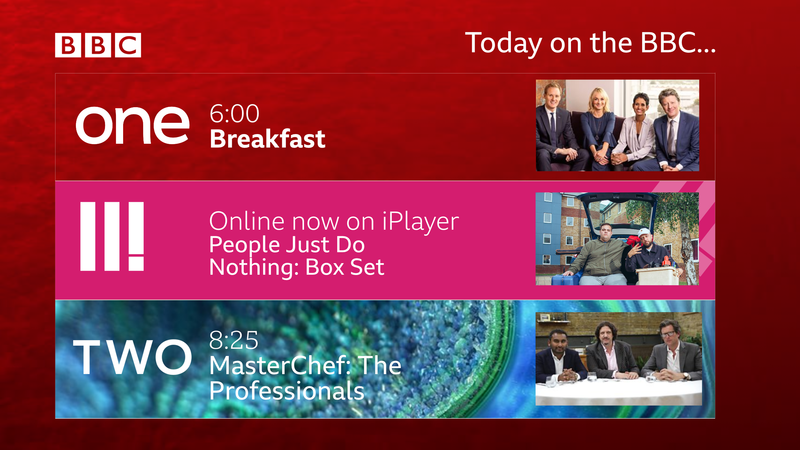 Removed some of the minor white lines and added iPlayer/HD icons. 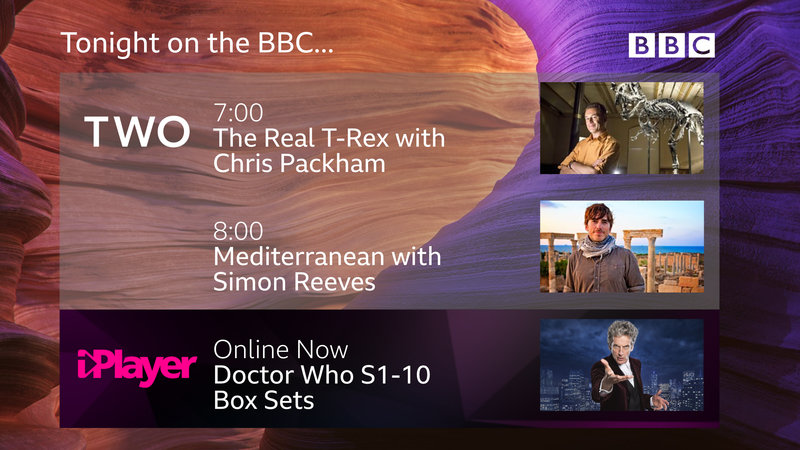 I also adjusted the size of the boxes, as well as adding "bbc.co.uk/tv" at the bottom left.